For more information on Generation Baecks, please contact Drew Davis, Administrative Assistant for Programs, at program@leobaecktemple.org, or call the office at 310.476.2861 ext. 202. 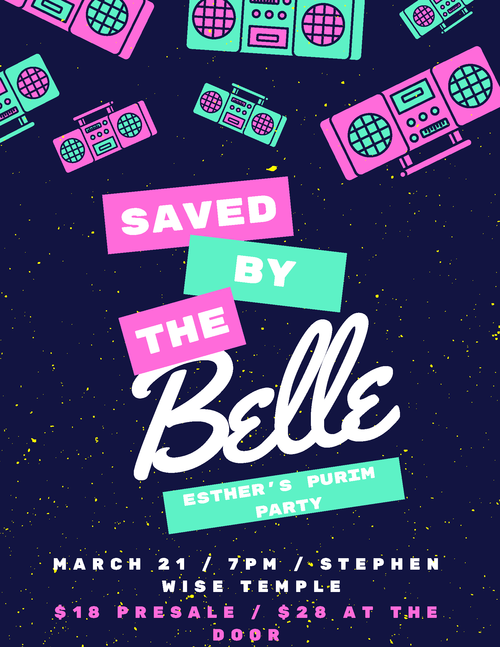 Join us at Stephen Wise Temple for a totally tubular throwback Purim party for our 20s/30s–food, open bar, dancing, and Purim festivities!